We presented one of our Year 3 pupils with the Dame Sarah Storey Award this week. Jamie was chosen for his continuing resilient attitude to his work, which he always does with a lovely smile on his face! Barney Storey came into school to present the award to Jamie and talked about the importance of not giving up, even when things get tough. 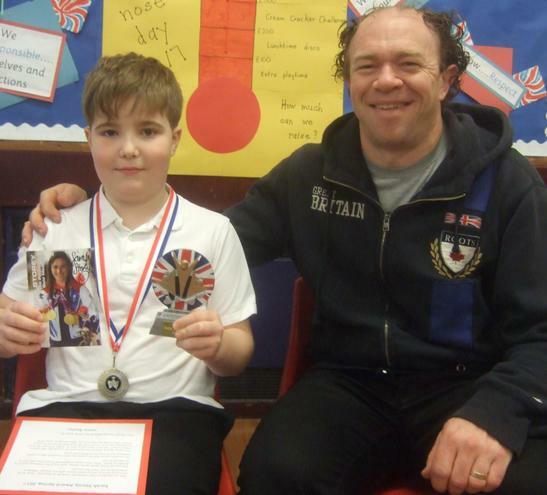 Jamie was presented with the trophy, a medal and a signed photo of Dame Sarah. Well done Jamie - we are all very proud of you!